If you are looking for a fully functional video editor for free, try VivaVideo app on your iPhone or iPad. One of the best free video editing apps on the iOS appstore that is available free of cost. 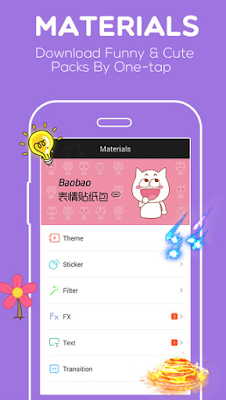 The app includes lots of features which can only be found in paid application. 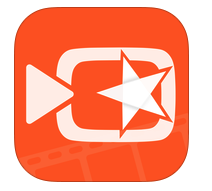 If you are a creative person and want to create videos of your special moments, you must try this app on your iDevice. The app lets you create fully professional videos from video clips, photos, slideshows and add different types of visual effects to your videos. VivaVideo comes with mainly six useful tools which are – (i) video capturing feature with amazing camera effects ( ii ) Photo movie option to create amazing movie from photos (iii) Video editing suite to edit videos (iv) Video collage maker to collage of your videos (v) Video Studio ( vi) material tool which lets you download more than 200 free animated stickers, effects and themes. One of the best video editing app that lets you try all of these functions in free version, if you want more features, you can simply upgrade your app through in app purchase. Okay now let’s see the function of each tool in details. ( 1 ) Video Capture – Video capture tool lets you capture beautiful moments of your daily life and convert those moments into a fully professional video. 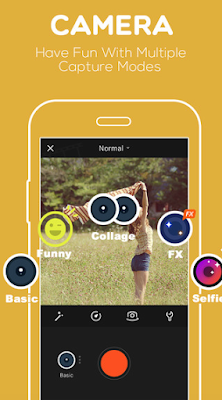 The app comes with different types of creative video lenses and effects. 2. Photo Movie – Photo movie tool is a great tool to create unique and stylish videos by simply just adding your photos. 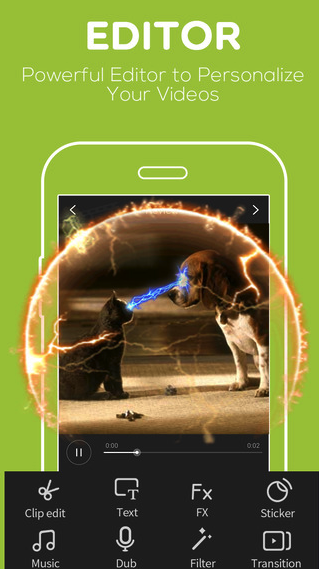 This option comes with lots of useful video themes, some preloaded music themes, and effects. You can also add text on your videos. Great tool to create videos from your photographs. 3. Video Editor – Video editing tool helps you edit your video clips by trimming or merging your video clips. This tool also helps you make your videos like professionals with the help of animated effects, stickers, video filters, music, stylish transitions and live dubbing options. 4. Video Collage Maker – Video collage maker tool lets you make collages of your favourite video clips. Great function of this app that lets you create awesome video collages quickly on your iOS device and share them with your friends or video sharing platforms. 5. Studio – Studio function lets you create awesome videos and presentations like professionals. 6. Materials – Materials tool comes with more than 200 visual effects, animated stickers , filters, transitions and themes. You can download them to your device free of cost.